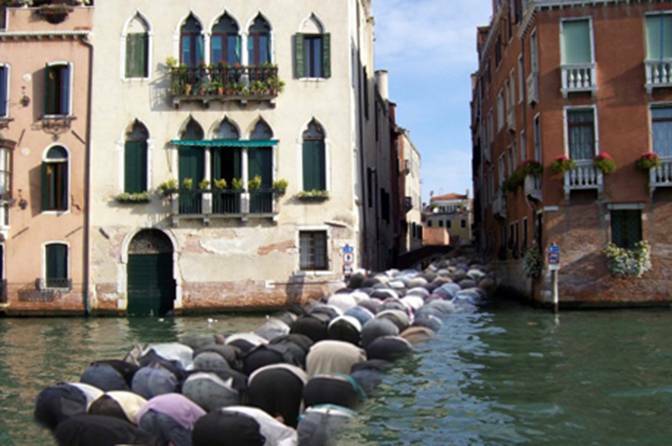 Due to there being no mosques in Venice, the Italian Government has allowed Muslims to pray in the streets. So far 543 Muslims have drowned. Whoever made this image ought to practice with their Photoshop skills. Sickening that anyone could even think this would be OK even if it where true.